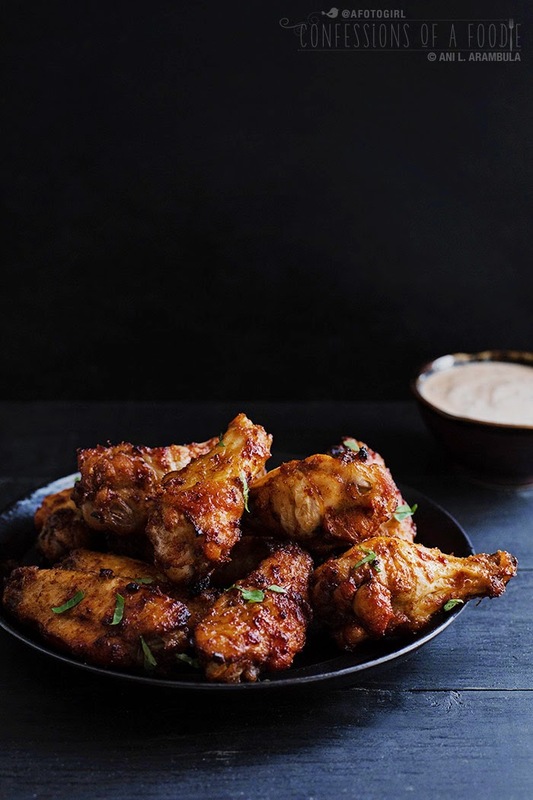 These tender baked Harissa Chicken Wings are addictive. The heat, not overpowering but definitely there, builds slightly with each wing. Paired with my Mint and Cilantro Yogurt Dipping Sauce, and the heat is easily tamed. Two birthdays ago, wanting a low-key dinner, Auntie took me to The Cheesecake Factory (cheesecake being my favorite dessert). Have you been? The dinner menu goes on forever and it's quite global. I ordered the Moroccan Chicken, first asking the waiter what Harissa was as I had never heard of it. "It's chile paste used in Middle Eastern and North African cooking." Uh-oh. I'm a wimp. I asked him to hold it and bring me everything else. "No, I can't do that." What?? "You'll totally miss the full experience of the dish. The Harissa sauce really elevates the chicken." Hmmm. "How about I have the kitchen put it on the side so you can control how much goes on the plate?" Hesitation. "Just promise me you'll try it, OK?" Fine. I gave in. His argument was quite passionate. The plate came out and as promised the Harissa sauce was on the side. Tentatively, I dipped the tippy-tip of my fork into the sauce and touched it to my tongue. Hmm. I did it again, only this time, dipping the fork in a little further. Hey! Hold the phone! This ain't so bad. A little heat, yes, but whoa! I carefully drizzled some sauce around the outer edges of my plate so I could swirl the Israeli couscous and the chicken through the sauce before raising the fork to my lips. Mr. Waiter returned, saw my Harissa on my plate and smiled, triumphantly. "What did I tell ya? Pretty good, right?" Oh, yes! He got a good tip that night. This past birthday, I repeated that experience and the dish lived up to my memory. I was curious though, where could I find Harissa in town and how would I incorporate it into my cooking? Where to find was solved when my sister got me into a small market that I drove past everyday for nearly seven years never stepping inside the place. North Park Produce is a small grocery store in Normal Heights that my sister frequents. I took her one day several months ago when she needed to do some grocery shopping. I was shocked at the selection of spices and foods: it's actually a small multi-ethnic market. From Greek to Israeli, African to Middle Eastern and Mexican, the place is filled with foods and spices I was itching to experiment with including Harissa. Bingo! I filed it away for when I was ready to play with it. To officially welcome summer, some good friends of mine hosted a movie night under the stars at their lovely home this past Saturday. The invite said to bring a dish to share. I knew I wanted it to be a protein and that it had to be relatively healthy so I could partake guilt-free. What to bring? And then like a file cabinet opening up on it's own, the image of the Harissa on the shelf at North Park Produce popped into my head. 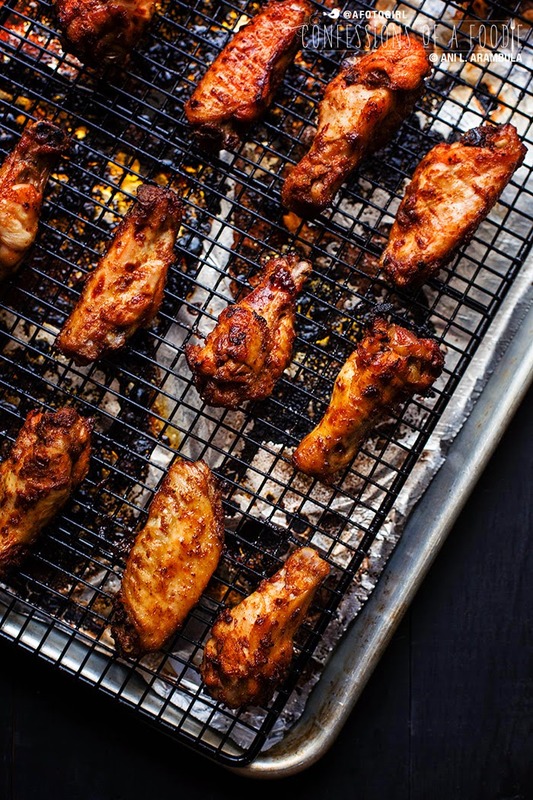 And with that, this Harissa Chicken Wings dish was born. 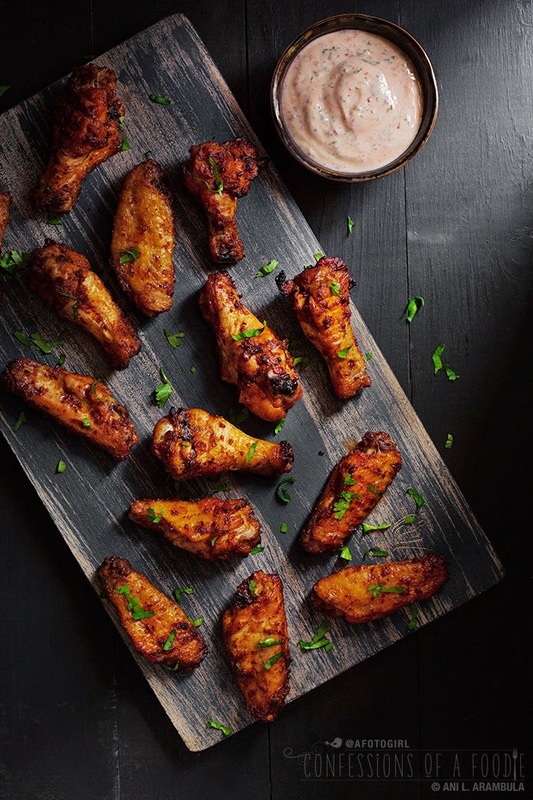 The morning of the party, I picked up my ingredients and went to work as I knew I wanted the wings to marinate for at least 4 hours. 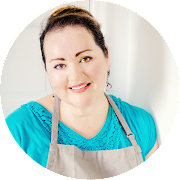 Was I nervous creating a recipe with flavors I'd never worked with for a party that I'd have no time to switch gears with in case I screwed up the dish? To be honest, no. 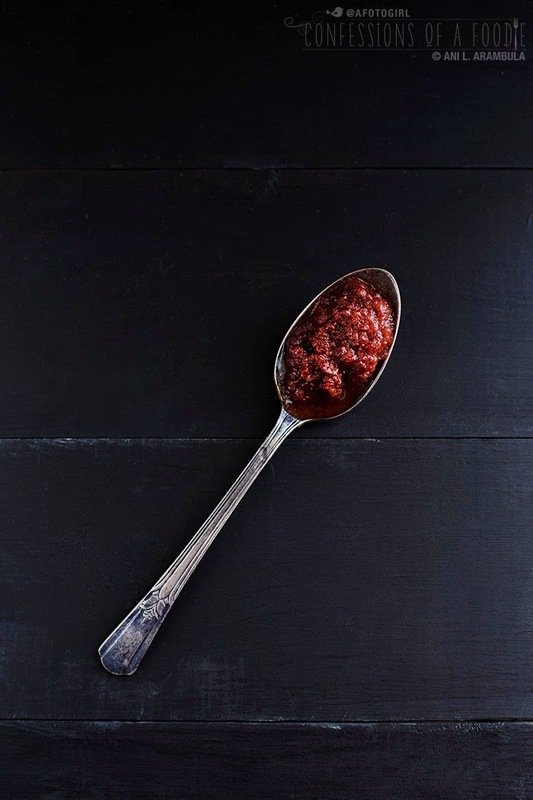 Harissa is just that good. I figured if I tasted the marinade before putting in the chicken and got it to taste yummy, I'd be safe. The wings were a huge hit at the party. Ditto the yogurt dip I threw together last minute. Fourth of July is this Friday. Now read my lips: You want to make these for your get together. Seriously. 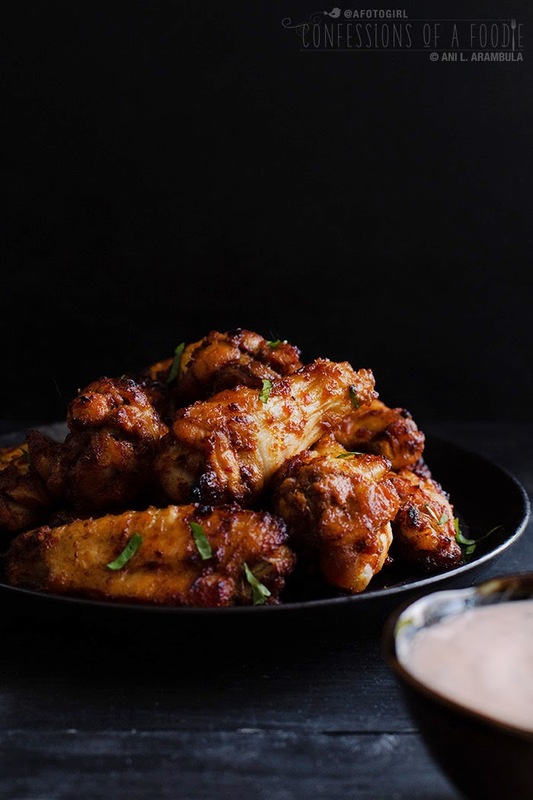 These will make the perfect nosh to munch on while you're sipping your beer and manning the grill. 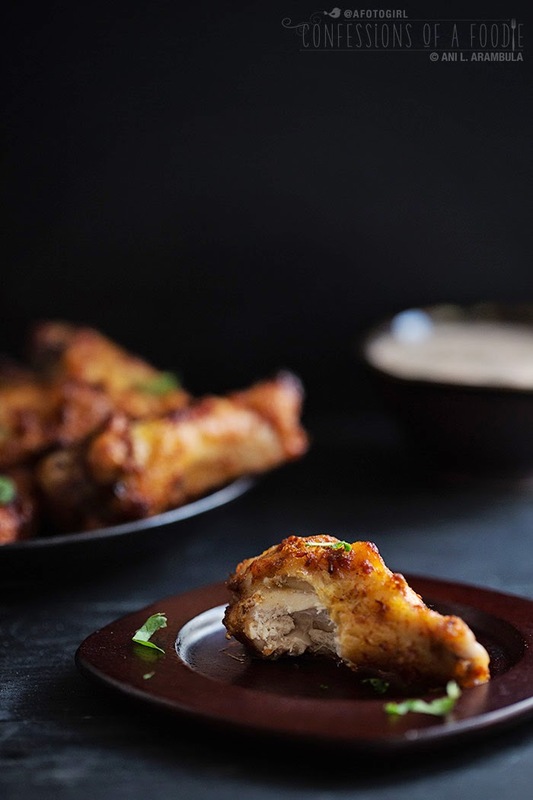 They are the perfect finger-licking finger food. I made a second batch the next day for this post and I gotta say, Yum! Lunch this week can not get any better. I used another ingredient for this dish that I've never used before: rose water. Oh my goodness, is the scent absolutely intoxicating! 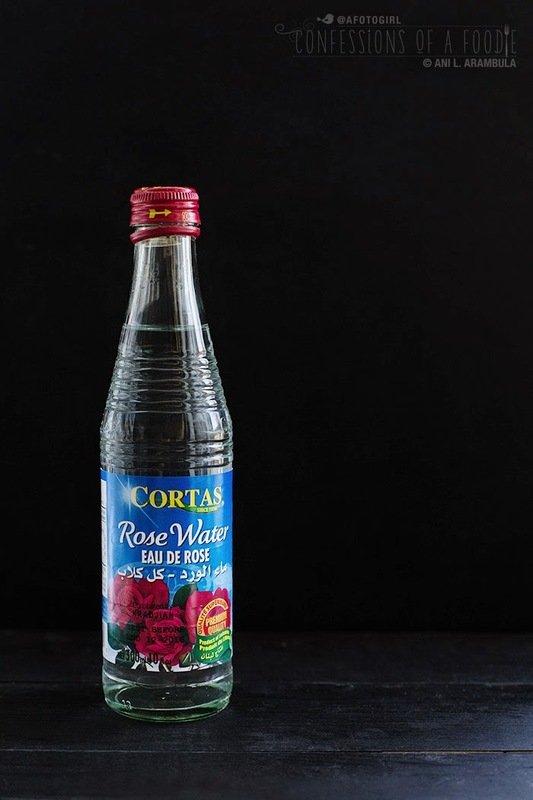 When I was researching Harissa, I came across several Middle Eastern recipes that often combined Harissa with rose water. So I thought I'd give it a try. Trust me, you don't actually taste roses in this dish. It does, however, temper and balance the chile nicely. I picked mine up at North Park Produce also but I've seen it at World Market and any Middle Eastern market will also carry it. You could omit it but if you can find it, I say give it a whirl. It cost me $2.29 and the price was worth the experiment. I have a nearly full bottle to experiment with again soon. 1. Stir together all the ingredients for the marinade in a large bowl; set aside. 2. 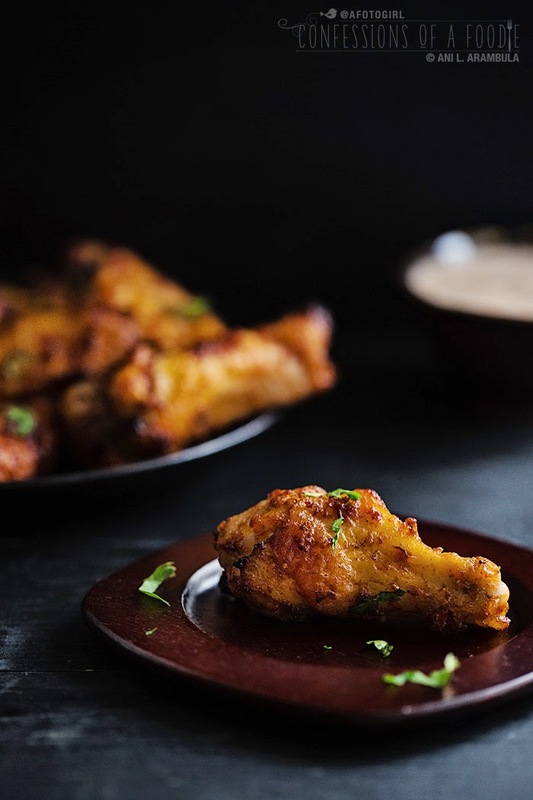 Rinse and dry chicken wings. Inspect for excess fat or skin and trip away if needed. Add to marinade and toss to coat each piece well. Cover bowl and refrigerate for at least 4 hours (or overnight). 4. At the four-hour mark, pre-heat oven to 400 degrees Fahrenheit. Pull the chicken out of the refrigerator and set on the counter while oven heats up. so the chicken isn't touching, if possible. and return to oven for an additional 15 minutes. and serve with dipping sauce on the side. Looks good Ani! North Park Produce is a favorite spot of mine. 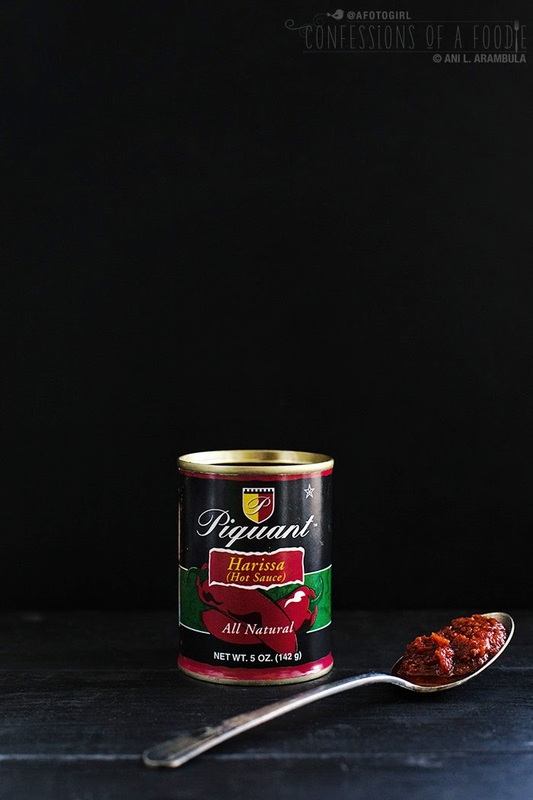 I actually just picked up this canned harissa to make harissa chicken thighs with chickpeas. It has great flavor!